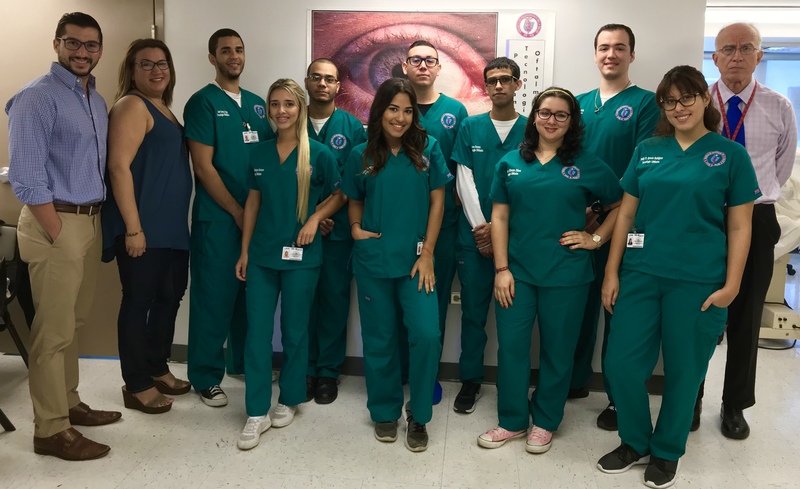 The Ophthalmic Technology Program in the School of Health Professions of the Medical Sciences Campus of the University of Puerto Rico, offers an associate’s degree and is the only accredited program in Puerto Rico and the Caribbean that trains Ophthalmic Technicians. The program currently has nine students enrolled, all with excellent progress. Our students come from different parts of our island. This academic year, the island received the impact of Hurricanes Irma and Maria. The University quickly recovered so that the quality of education was not affected and all students could progress with the second semester of clinical practice. Without a doubt, this was the biggest challenge our program faced this year.